Getting to Hermit’s Rest, where the program began, was a task in itself. We drove to the Grand Canyon Village part of the park, where we then caught a bus that took us on the 45 minute drive to the western end of the park. 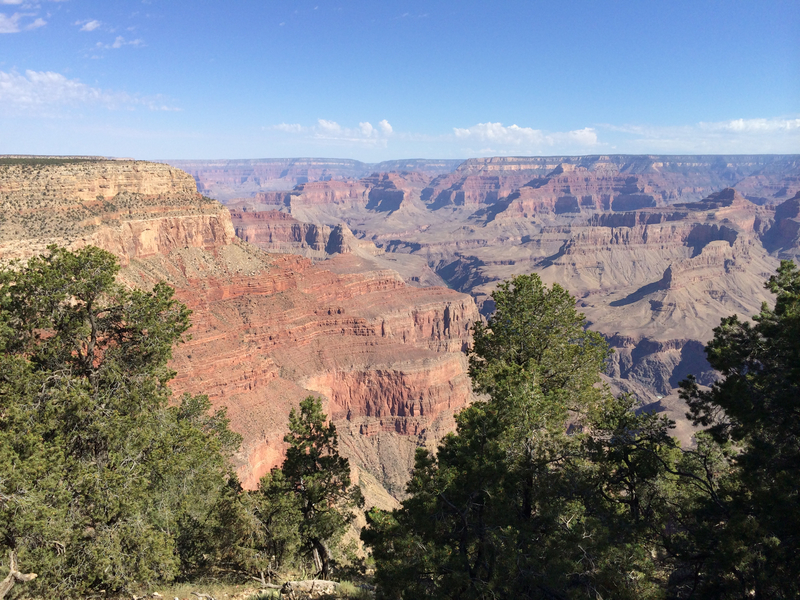 It was a gorgeous drive with several views of the canyon to enjoy. 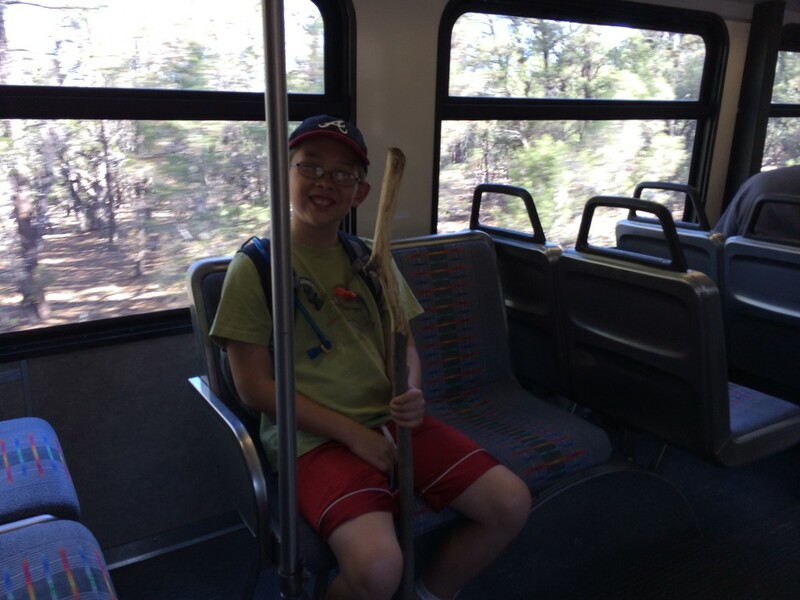 Timmy on the bus to Hermit’s Rest with his walking stick. 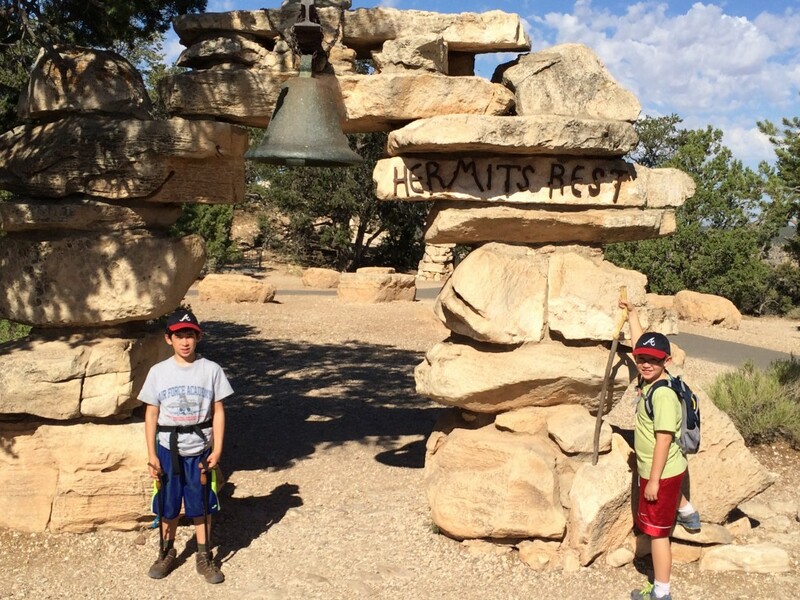 We arrived at Hermit’s rest with enough time to look around at the gift shop there before meeting at the bell (seen in the top photo) with several other families and Park Ranger Alex. Ranger Alex was our (very young) guide on our family adventure. He told the kids about the history of the Hermit’s Rest area (which you can read more about here), and then we started our trek down below the rim on the Hermit’s Trail. 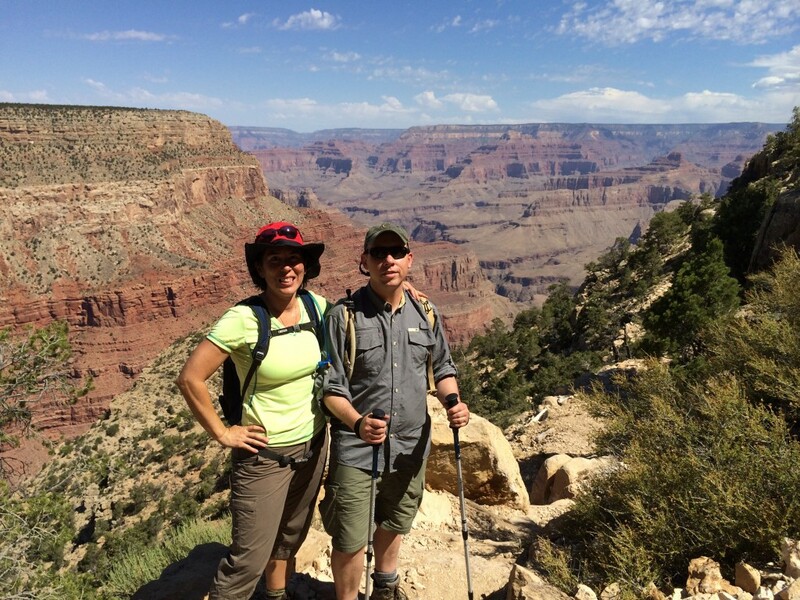 He told us that less than 5% of Grand Canyon National Park visitors even go below the rim, which I couldn’t believe! On the way, Ranger Alex discussed the geology of the rock layers we were seeing, as well as the fossil life immortalized in some of the rocks. We had some really young children with us, so we made numerous stops. Ranger Alex handed out Junior Ranger workbooks and pencils, which Timmy completed with enthusiasm. 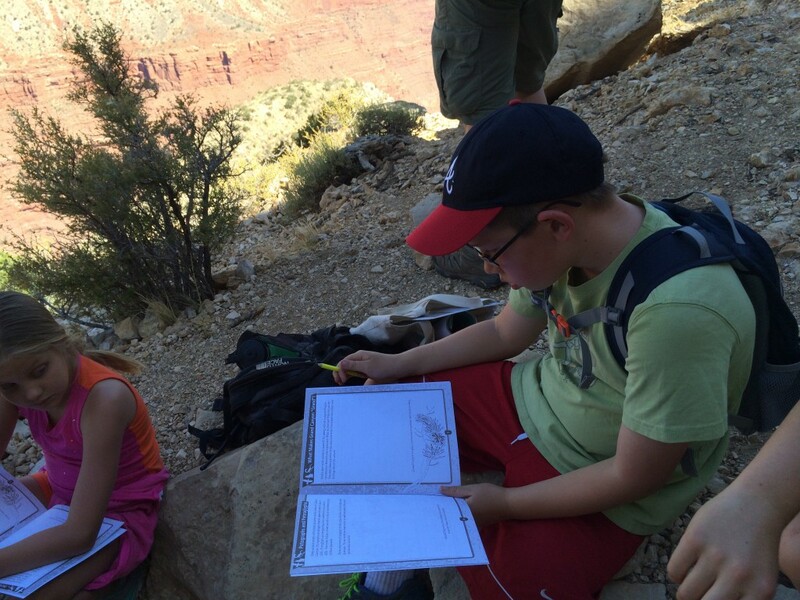 Timmy working on his Junior Ranger workbook with the other children on the hike. We didn’t go down very far. Perhaps two layers? About 60 minutes into the hike, Ranger Alex said “goodbye” to the kids and the event was over. We could continue down further, but we elected to climb back up. 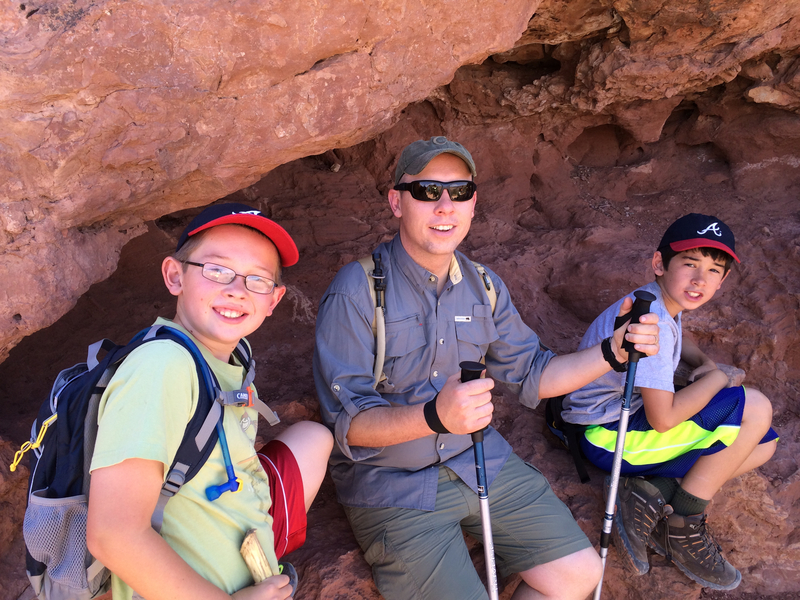 I was very nervous about the kids having a hard time if we descended down too far. We enjoyed many awesome views from throughout the Hermit Trail.